In the second installment of this series, that pretends to round up the Energy policies put forward by the main political blocs running for the European Parliament, the analysis is on the Party of European Socialists - PES. The eternal runner up behind EPP-ED, never got more than one third of the seats at the euro-chamber. Nonetheless, through the alternating democratic process at state level, it has been having also a relevant role in shaping the European Union to what it is today. 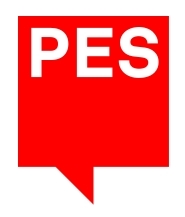 PES is a federation of state parties that are either part of, or closely related to, the Socialist International, being the political group at the European Parliament that is formally closer to the way state parties function. Still, it gathers politicians with very different approaches to Society, diluting its identity. Unlike in the US, where the word Socialism is a synonym for Planed Economics, in Europe it still retains some of its philosophical meaning of solidarity and equality. Especially during the rebuilding process ensuing the Second World War, Socialism (or Social-Democracy in some states) in Europe became associated with John Maynard Keynes' recipes for economic growth, in what can be considered a politicisation process of popular Economics. The oil crisis (that hit Europe most during the 1980-1985 period) brought this Social-Economic view into question, with refactored interpretations of Monetarism becoming popular again, especially among Liberal parties and but extending to large swathes of the population. That, coupled with the fast expansion of the European Union (that brought rapid economic growth to many states), ended up moving some state-level socialist parties much closer to Liberalism. In recent years some socialist parties were able to implement policies that directly social equity, like indirect tax increases, in states as the United Kingdom or Portugal. On the other hand, in places like Scandinavia or France, socialists remain closer to post-WWII philosophies. Thus, the concept of an European socialist is today something rather hard to define and largely dependent on geography. For foreigner readers to understand, a large portion of PES would be registered with the Democrat party in the US, while the remainder would not find home at any other party there, even with the Socialist Party of America, largely a Scientific Socialist bloc. To the election. As one of the parties with the largest electoral base, PES can afford a professional website full with media content. After a few years with pink, the party's colour is again red, prominent in the website's design. Right at the top is a link to a secondary website dedicated to the 2009 Campaign. This website is built around something called the Manifesto, the result of a public consultation that went from October of 2007 to July of 2008, in wich more than 3000 individuals reportedly participated. This consultation produced a draft that was discussed and approved by the PES Council in December of 2008. Both the Manifesto and the election website are markedly directed at younger voters, with audio, video and printable contents. The language is most of the time simple and direct; the word "your" is present at large. There's also a clear attempt to promote the party's graphical image as an identifying symbol of its members. That might not mean it won't work for maturer audiences likewise. The printable version of the Manifesto is that traditional electoral booklet that could be expected. The introducing remarks are less of a laid down ideological foundation and more of an action programme, still, it is enough to understand where the party stands in the political landscape; a few highlights are reproduced below. The Party of European Socialists is committed to creating a fairer, safer society, tackling the challenges we all face by putting people first. For us, the European Union is the vital link in the era of globalisation. It puts our countries in a stronger position to solve global problems that have an impact locally. We need more active cooperation in Europe to tackle our common challenges and improve people’s lives. The entry into force of the Lisbon Treaty, subject to ratification by all EU Member States, would make Europe better able to tackle common challenges democratically, transparently and effectively. We need a strong progressive majority in Europe to introduce the progressive reforms that are essential to secure the future well-being of European citizens and society as a whole. The global financial crisis has exposed the weaknesses of the unregulated market. These are very difficult times in the global economy. The past year has seen two unprecedented shocks - the worst credit crunch since the 1930s and a record surge in energy and food prices. We need active cooperation in Europe and globally to coordinate action and tackle the problems in national and international financial systems; and we need to take proactive action to transform the economy – through investments in key priorities - to secure a prosperous and sustainable future for everyone in Europe. Conservatives have pursued a policy of blind faith in the market – serving the interests of the few rather than the general public – and we are now seeing the damage that badly regulated markets can do. But we know we can do something about this. We can relaunch Europe’s economy and create a fairer and safer society for all in a New Social Europe. Our comprehensive progressive reform agenda to transform European cooperation - based on our values of equality, democracy, human dignity, solidarity, freedom and justice – can deliver the change which the people of Europe so desperately need. There is a great deal of comparison made with the EPP-ED's policies, possibly a consequence of PES permanent second place at Parliament. We propose to develop a European Common Energy Policy based on sustainability, energy security and independence, diversity of energy sources and solidarity between Member States in the event of energy crises. The EU should, for example, increase its renewable energy supply by taking the lead in building a High Voltage Electricity Transmission Network for the transportation of offshore wind energy from Northwest Europe and solar energy from southern Europe and North Africa. While these are initiatives to welcome, there's no time framing nor any sense of urgency. The "for example" is quite unfortunate, it hints at the party not having a properly developed policy. We will support a modern Common Agricultural Policy that promotes comprehensive rural development and values the fundamental role of farmers, recognising the role of agriculture in protecting the environment, ensuring food quality and security of supply, preserving the landscape, and protecting animal welfare and plant health. Biofuels can help to lower emissions in transport, but this should not come at the expense of European and global food production, environmental protection or biodiversity. The EU’s Biofuels Directive should be revised to ensure respect of this principle. It is good to read about Agriculture in a text that prototypes an Energy Policy. It is good to acknowledge food production as a major variable in the Energy system. It is bad to ignore what EROEI is, and what it vaticinates for agro-fuels in temperate climates. It is for each Member State to decide on whether to use nuclear power. However, given the importance of nuclear safety for all European countries, the monitoring of existing and new nuclear power plants should be coordinated at the European level. PES adopts essentially the same posture as the EPP-ED on Nuclear, leaving development decisions for the state level. Is this the Common Energy Policy referenced in the opening paragraph? At PES this hand-washing is not only a symptom of lack of commitment, but possibly of serious internal differences on the matter. Apart from that, the proposal for Union level safety motorization is welcome. There's a lot left to be desired for from such meagre lines. Digging deeper into the election website it is possible to find something a bit more elaborate. At the Documents page, under a section entitled "Save our planet", is buried a link to a resolution with the title "Secure energy supply and smart, green growth: a new social democratic energy policy [pdf!]". This is an 11 page document dedicated entirely to Energy, produced at the 7th PES Congress, held in December of ... 2006. This document is worth to be read in its entirety, but for the sake of brevity, here is simply a digest. The document continues to underpin the party's energy vision, distancing itself from deregulation goals and proposing a social dimension to Energy Policy. After that, the proposed policy is materialized in six strategic lines; for each strategy the tactics devised are summarized below. Referenced as "the most pressing problem", is tackled almost by a single line of action: expanding the Emissions Trading Scheme in both space and time. PES proposes the EU to lead a negotiation process to reform Kyoto in order to effectively guarantee a world-wide adherence to similar policies. As for Energy, this scheme is proposed to funnel resources into renewable energies and efficiency R&D. At the end is the proposal to accelerate the development of Carbon Capture and Sequestration (CCS) technologies so they can become mandatory after 2020 for every new fossil fuel power plant built. This strategy can be divided into two main tactics: a) procure an EU agreement on a timetable for fossil fuel reduction in coming decades and b) procure partnerships with major neighbouring energy suppliers (e.g. Russia, Norway, Algeria, Lybia) that are mutually beneficial, guaranteeing long term supply. At a wider international level, it is also proposed for the EU to use its negotiating powers to promote its climate agenda in energy exporting countries, as also social stability. Consumers’ awareness - create an "energy culture" together with local and regional governance in order influence citizen's individual choices. PES proposes the EU to go one step further from the goals already agreed upon in the 2006 Spring Council. It aims for more ambitious and long-term targets: 25% of renewables in primary energy by 2020, 50% by 2040. In the short term this is to be achieved almost exclusively by bio-fuels, with policies such as increasing the ethanol blended in petrol to 10%. This section is somewhat diffuse and repeats many of the points made earlier. New issues brought up are the decentralization of power generation and the need for a common Nuclear safety policy. The later is referenced as an important element of the EU's energy mix. A more political strategic line, calls for more cooperation at the EU level. Uniformise the internal market under the same political framework, with overcoming the market's discrimination for renewable energies as a goal. Definitly, this is more than what the regular citizen could wish for, but it is a serious attempt at bringing together an Energy Policy. It quite resembles the Commission's proposals, but going further in many areas, both for the good as for the bad. There are interesting references to alternative modes of Transport and Urban Planning; Energy Efficiency is especially tackled in a much more integrated perspective than that of the Commission. Also relevant is the acknowledgement of the importance of the EU's neighbours and of the present role Nuclear has in the energy mix. On the negative side are the blatant promotion of agro-fuels and of-course, the suicidal CCS targets. It is pretty unbelievable to read in the same document proposals for an efficiency increase in power generation and proposals to reduce that same efficiency. All these incongruences bring into question many of the numbers that quantify the tactical goals laid down. But what is more consternating is the absence of urgency in dealing with fossil fuel depletion, the sense that reducing these energies' consumption is dependent solely on the citizens' and politicians' will. Such is reflected in the way the party relegates Energy into the background, hiding its thorough approach from the common citizen and even failing to properly synthesize it. Can one day PES politicians reach the same level of energy lucidity Andris Piebalgs seems to have?